Each weekday, even if, like today, it's snowing like crazy outside my window, between now and May 1, I'll post a question about comparative government and politics. And you'll win zwei What You Need to Know number two pencils to help you fill in the exam's multiple choice answer sheet. One of the pencils will have all the multiple choice answers on it and the other will display King Arthur's memorable line from Monty Python and the Holy Grail, "You don't vote for kings!" Half of non-agricultural jobs in Nigeria are government positions. What are two ways that fact affects politics and governance in Nigeria? Here's the first answer I received for Question #10. The Iranian president is elected nationally and directly. The Prime Minister of the UK is elected from one of over 600 constituencies. Does the manner of election affect the power of these two heads of government? If so, how? If not, what are two major factors that account for the differences between the power of the Iranian president and the power of the British PM? "10. In Iran, the president is elected nationally and directly, but these elections are largely fraudulent. "In Britain, the prime minister is elected from one of more than 600 constituencies. 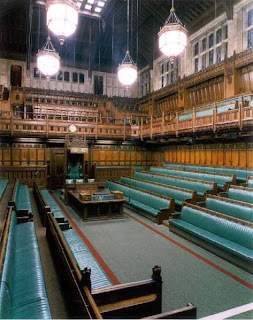 British elections, however, are significantly more free and fair than Iranian elections which gives the British prime minister greater legitimacy, but awards the Iranian president more power as he is much less restrained by other bodies or by public opinion. "The manner of election has a great influence on the perceived legitimacy of a leader, but the fraudulence or freedom with which the election is conducted has a much greater effect. A more relevant question might include evaluating the differences between the US presidential elections and the UK prime minister elections." This is a three-point question. It asks whether the "manner of election" affects the power of the two officials (1 point) and its asks for either a reasoned explanation of that effect or two factors that better explain the differences in power (2 points). My rubric is based on the observable fact that the British PM has more authority and power than the Iranian president. The PM (and the PM's party) is readily, almost without limit, able to implement policy choices the party campaigned for. The Iranian president (notably exemplified by the current president) has little authority and less power to propose and implement policy. The rubric states that those differences in power and authority are not due to the methods of election. This answer asserts that Iranian elections are "largely fraudulent" without explanation. 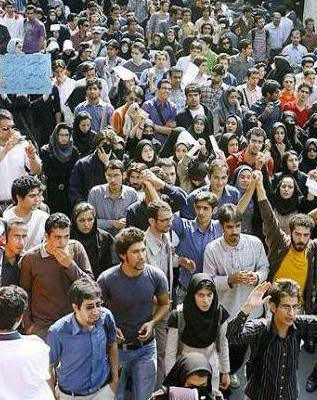 While voting fraud is not unknown in Iran, the assertion requires some factual support. The answer then states that, "British elections... are significantly more free and fair than Iranian elections which gives the British prime minister greater legitimacy, but awards the Iranian president more power as he is much less restrained by other bodies or by public opinion." Legitimacy is mentioned, but not in relation to the power of the PM. The claim that the electoral process awards the Iranian president "... more power as he is much less restrained by other bodies or by public opinion," is mistaken. However, the next sentence states that the "manner of election has a great influence on the perceived legitimacy of a leader, but the fraudulence or freedom with which the election is conducted has a much greater effect." That implies that the unrestricted, open elections in Britain confer more power on the head of government. So, what is this answer's response to the question, "Does the manner of election affect the power of these two heads of government?" Please note that "manner of election," as defined in the question, refers to election by a nation-wide constituency (which most textbooks assert leads to greater legitimacy and power) as opposed to election in a small, single-member legislative district. This answer does not respond to that question. It instead redefines the "manner of election" to a choice between fair electoral process and fraudulent process. That is not what the question asked about. This answer also claims that the Iranian president "is much less restrained by other bodies or by public opinion." It also claims that "the fraudulence or freedom with which the election is conducted has a much greater effect" on "the perceived legitimacy of a leader..." which seems to imply that the British PM has more power. Such a complex answer is conceivable, but it requires much more explanation than offered in this answer. This answer earns no points. When you answer FRQs on the AP exam, your time is limited. But you must adequately explain your answers and offer factual support for conclusions, generalizations, or assertions in your responses. The exam is not a place to try to make a case for a complex thesis, even if you recognize complexity or ambiguity implied by the question. Don't try to answer an FRQ (even in 30 minutes) by redefining the terms in the question or the question itself. That's a task for a paper for which you do research and have time and space to support a complex thesis. Be as literal and direct as you can be when you're answering the AP exam's FRQs. Will the author of the posted answer for Question #13, please contact me with your teacher's name, school name, and school address. If you sent it earlier, I have lost the contact information. I do want to send you your prizes. Use the comment space below or e-mail the information using this link. Here's the first best answer I received for Question #9. What are two similarities in the recruitment of leaders in Mexico's PRI and China's Communist Party? 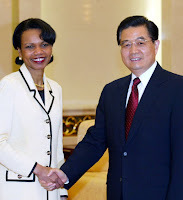 What is one difference between recruitment in the PRI and recruitment in the Chinese party? "9. The China’s Communist Party stresses personal connections with those in government or military, known as gaunxi, as a tool that characterizes elite recruitment. The history of loyalty to the party is also an important factor that is evaluated during recruitment, as is class. "Mexico has a history of similar practices, but recently, with the weakening of PRI, these traditions have begun to erode. 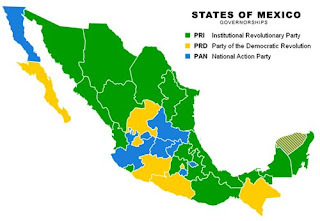 The president of Mexico historically would name or a recommended successor of the PRI Party to take their place in the next election after their six year term as president, but this practice was broken in the 1990s. As PRI has lost presidency, some of its policies have modernized, breaking away from the more traditional practices of recruitment as observed by the Chinese Communist Party." This question asks for three things and is worth 3 points. You would earn points on this question by identifying two of the similarities and one of the differences. This answer correctly identifies the the use of patronage and party loyalty in the Chinese process of recruiting (identifying) leaders. The second paragraph begins by saying, "Mexico has a history of similar practices..." I am inclined to say that the identifications for China and the inclusion of Mexico in the beginning of the second paragraph are worth 2 points. However an exam rubric might very well require that the answer specifically "say" that patronage and party loyalty are part of the process within the PRI. This answer does not do that. I can readily imagine that the committee writing the rubric for this question would require the specific description of those practices in Mexico as well as in China. If the rubric did, this answer would not earn those points. The answer goes on to assert that the PRI has been "breaking away from the more traditional practices..." without specifying how (emphasizing the recruitment of Mexican graduates of prestigious U.S. universities, for example). Without specificity, this answer cannot earn a third point. When you write your responses, be as specific as you can be. Exam rubrics usually require specific examples. Even those questions that ask you to make a generalization about a topic will require specific examples to support the generalization. Here's the first best answer I've received for Questions #15. What are two structures in the Iranian regime that provide representation of public opinion in the law and policy making processes? What are two structures in the Iranian regime that limit the representation of public opinion in the law and policy making processes? "1. providing representation of public opinion in the law and policy making processes: The popularly elected Majlis and President. The Majlis (Iranian Parliament) is made up of 290 deputies elected by direct and secret ballot for four year terms. The President is elected by popular vote for four year terms (two terms maximum). Several religious minorities are seated in parliament, with five seats reserved for Christians, Jews, Zoroastrians. Because the Assembly of Experts appoints the Supreme Leader and he appoints the Guardian Council (indirectly in part, in that he appoints the head of the judiciary), public opinion is removed from impacting these selections." This would be a four-point question. This question is one of basic facts. On the AP Exam, this topic would more likely be asked about in a multiple-choice question. Any two of the first three would earn a point each; any two of the second four would earn a point each IF they are correctly identified as representing or limiting public opinion. Mr. Wolfson's class correctly labeled both two-item lists. They earned 2 points for the first part of the question, and they earned two points for the second part of the question. There is a lot of explanation in the answer that is unnecessary for earning those points. However, if the class had not repeated the labels from the question ("... providing representation of public opinion..." and "... limiting the representation of public opinion..."), those comments and elaborations would have been important substitutes for the labels. And you'll win a pair of fine What You Need to Know number two pencils to help you fill in the exam's multiple choice answer sheet. One of the pencils will have all the multiple choice answers on it and the other will display King Arthur's memorable line from Monty Python and the Holy Grail, "You don't vote for kings!" And you'll win 17% of a dozen What You Need to Know number two pencils to help you fill in the exam's multiple choice answer sheet. One of the pencils will have all the multiple choice answers on it and the other will display King Arthur's memorable line from Monty Python and the Holy Grail, "You don't vote for kings!" What are two political results of the growth of government control and ownership of major economic entities (e.g. 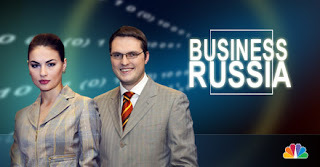 corporations) in Russia during the past 10 years? Here's the first best answer I've received for Question #8. How and why is the political role of media in Russia different from the political role of media in the UK? 8. The UK, had an incredibly diverse and extensive media, with the main source being the BBC. 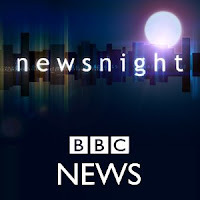 British media is widely reputed for presenting a very respectable and varied body of information on both domestic and international events and developments. The media in the UK creates a form of political check on governmental power in its efforts to reveal the truth about political happenings and issues. The Russian media, however, has a significant bias in favor of the current regime and has historically been an instrument of both propaganda that has a higher loyalty to the ruling party than to the truth. An important thing to keep in mind for this question is that the "how" and "why" questions are separate. Some of the "how the roles differ" may answer part of the "why the roles differ," but they are different question. You must clearly answer both questions. This is a 4-point question. Up to two points for identifying the ways the political roles differ and up to two points for offering accurate and logical explanations for why the roles differ. economic competition for readers, listeners, and viewers among British media vs. subsidies to media from Russian owners with little attention paid to "audiences"
The answer does not offer two labeled lists, but it does say that British media present a "varied body of information on both domestic and international events..." and that the "media in the UK creates a form of political check on governmental power..." The answer also says that Russian media "a significant bias in favor of the current regime..." Those statements about how the political roles differ earn two points. The statement that the Russian media have "historically been an instrument of... propaganda..." offers a reason why the political roles of the media differ. That earns a point. So this answer earns 3 points. You could keep your thinking and your response clear by writing two paragraphs for this question. The first one should be labeled, "Differing political roles of media in the UK and Russia." The second paragraph should be labeled, "Reasons for differences in the political roles of media in the UK and Russia." Here's the first best answer I've received for Question #7. What is one economic change instigated by the Thatcher or Major governments that was continued by the Blair government and why was it continued? What is one economic change instigated by the Thatcher or Major governments that was reversed or changed in a major way by the Blair government and why was it reversed or changed? "Margaret Thatcher’s programs of neoliberalism were continued by the Blair administration because by promoting competition among businesses without significant government intervention, and by attracting foreign investment, considerable economic growth and stability was achieved. Thatcher’s policies of traditional monetarism, on the other hand, were significantly changed when the New Labuor Party came into power. Monetarism was characterized by reducing social expenditure and privatizing or decreasing the work force of the public sector. Blair increased spending on social policies instead of cutting taxes such as the National Health Service. This change was made because New Labour was a more liberal party than Thatcher that stressed social policy and believed that the government had a more immediate responsibility to provide public services than to decrease taxes." This is a four point question. One point is earned for the identification of an economic policy begun by either Thatcher or Major and largely continued by Blair. One point is earned for the identification of an economic policy begun by either Thatcher or Major and significantly changed by Blair. 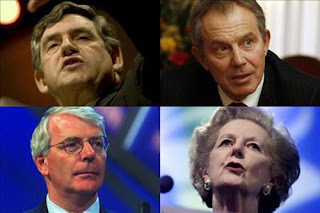 Two more points can be earned by accurately and logically explaining a motive for each of the policy choices by Blair. Anonymous 2's answer to this question identifies Thatcher's general economic policy direction as "neoliberalism" which is correct, but is not a specific policy identification. The supply-side concept of reducing government regulation, described in the answer, played a minor role in Thatcher and Major's economic policies. Monetarism is defined as "characterized by reducing social expenditure and privatizing or decreasing the work force of the public sector." In fact, monetarism refers to manipulation of money supply and interest rates, which Thatcher did early in her government to control inflation. 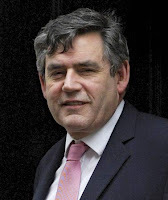 The answer argues that Blair continued the policies of "neoliberalism" and "monetarism" because by "promoting competition among businesses... and by attracting foreign investment, considerable economic growth and stability was achieved." Major's government oversaw a rather nationalistic economic policy that discouraged foreign investment and by the end of Major's government, the economy was in trouble. That was a significant reason for Blair's election. Anonymous 2's answer earns a point for correctly noting that, "Blair increased spending on social policies instead of cutting taxes..."
The answer also asserts that, "This change was made because New Labour was a more liberal party than Thatcher that stressed social policy and believed that the government had a more immediate responsibility to provide public services than to decrease taxes." The problem with this assertion is the ambiguity of the term "liberal." The Economist, a British publication, might well describe Thatcher's policies as more liberal (in a classical and British sense). The use of a different term, populist, for instance, might have made a difference. And a second point could have been earned by explaining that inflation, increased costs, and slowly increasing government expenditures on medical care and schools had created widely accepted perceptions of declining quality in both areas. This essay earns 1 point. If you're asked a question like this, be very careful how you describe the policy positions you discuss. Be as specific as you can. And keep your explanations as closely tied to the examples as possible. What are two reasons it's useful to comparative political scientists to distinguish between regime and government? "The study of comparative government makes a distinction between regime- the underlying structure, written or unwritten constitution, etc. of a state- and government- the person, group, or party that exerts control over that state. There are several important reasons for this distinction. "1. A government and its rule may often be largely different from the underlying regime because they do not follow the ideals laid out in the country's constitution. For example, the government in Russia is as important a topic as the regime because Putin and United Russia have exerted powers that extend beyond those laid out in Russia's constitution, and the elections in Russia may be largely fixed. "2. A state can change its government without changing regime. Tony Blair's idea of what role the government should play in the United Kingdom and Margaret Thatcher's idea of the same are two very different things. However, when the Labour Party took control of Parliament in the UK, the underlying regime of the country did not change." This would be a two-point question. A vital task for political scientists, like any other scientists, is to precisely define the topics they study. Basic definitions, like regime and government are among the most important for political scientists. Why? Because if you're trying to make generalizations, find correlations and causations, or make predictions about political systems, you need to be as precise as possible or you might be trying to find similarities in groups of unalike things, describing causations when you're looking at correlations, and making faulty predictions. Here are the reasons in my rubric for distinguishing between regime and government. Will's response earns two points. His first reason matches my rubric's second point. His second reason would fit within my last point. Will's introduction, which includes basic definitions of regime and government, is probably more elaborate than necessary. If you have time to do that much, it's not a problem. However, his statement that "There are several important reasons for this distinction." is an important element to his answer. Since both elements asked for by the question fall into the same category, the exam rubric might not require an identifying label like that, but it might. The numbering of his two reasons is a nice touch. It helps the exam reader recognize the important elements of the answer. 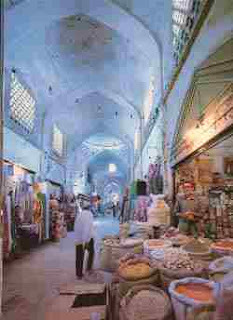 What are two forces within Iran that resist economic liberalization? Why do they oppose a greater reliance on free markets and international trade? Here's the first best answer I've received for Question #6. Since independence, the distribution of oil revenues has been one of the most contentious issues in Nigerian politics. Identify two factors that make the issue contentious and explain why those factors impede resolution of the conflicts. "6. The distribution of oil revenues in Nigeria has been a particularly contentious issue because oil is Nigeria’s largest source of revenue. It has also been a source of foreign investment and multinational corporate presence which has integrated Nicaragua into the world market as a marginalized and vulnerable power. Both these factors have contributed to Nigeria’s dependence on the volatile oil market for income. "The oil revenues themselves are distributed very unevenly, often falling into the pockets of politicians instead of being spent on the public welfare. "Prebendalist values have only been further entrenched and practiced in Nigerian society due to loose or nonexistent oil revenue distribution policy. Corporations have been accused of disproportionately low wages for workers, and the abuse of human rights. 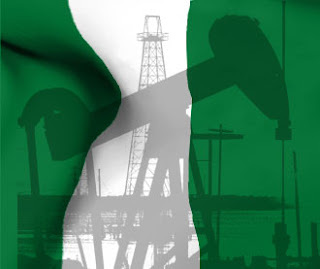 Nigeria’s dependence on oil and the foreign presence that it has brought to the country makes the distribution of these lucrative and essential profits a largely controversial topic. The well-established prebendalist values and the lack of coherent or stable policies regarding the official distribution of these finances only impedes the path to resolving this conflict." This is a four point question. One point for each of two factors causing contention over the distribution of oil revenues and one point for each of two reasons those factors impede the resolution of the contentious issues. The reasons must logically and accurately explain why each cause makes resolution difficult (coincidence of ethnic and state boundaries) or impossible (geographic distribution of oil fields). Anonymous 2's answer earns a point for the statement that "oil is Nigeria’s largest source of revenue..." The rest of the paragraph is not relevant to the question. The answer earns a second point for the statement in the second paragraph that revenues regularly end up in "the pockets of politicians..."
Next, the rubric requires that the answer explain why those causes of contention impede resolution of the conflicts. What reasoning does Anonymous 2 offer for why the reliance on oil revenues and corruption make conflict resolution difficult or impossible? The third paragraph mentions prebendalism, the lack of revenue distribution policies, and the policies of corporations, but neither of the causes identified in the first two paragraphs. NOTE: This is one of those times when paraphrasing the question as an introduction to an answer might have helped. What if the first paragraph began with the sentence, "Two factors that make the issue of distributing oil revenues contentious are..." and the last paragraph began, "Those factors impede resolution of the conflicts because..."? Starting the paragraphs that way reminds you of exactly what you're supposed to write about and keeps you focused on responding to the question and not getting lost in other ideas that come to mind. This answer earns two of four possible points. Anonymous 2 does, however, win a pair of WYNTK pencils. BTW, the answer was numbered. It's always a good idea to number your answers. 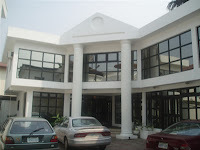 What are two major reasons the politically relevant cleavages in Nigeria are so persistent? What is one of the ways that persistence affects Nigerian politics? And you'll win one-sixth of a dozen What You Need to Know number two pencils to help you fill in the exam's multiple choice answer sheet. One of the pencils will have all the multiple choice answers on it and the other will display King Arthur's memorable line from Monty Python and the Holy Grail, "You don't vote for kings!" 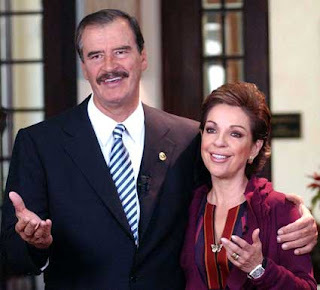 Mexican presidents before Vicente Fox were powerful political leaders. Fox was unable to implement any of the major policies he advocated. What are two institutional factors that help explain the difference between Fox's power and the power of earlier presidents? Here's the first best answer I've received for Question #2. 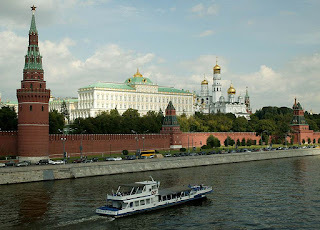 How did the current Russian constitution get approved? Did that approval process contribute to the legitimacy of the constitution? Why or why not?. "According to my source, wikipedia, it says that the current constitution was drafted in a referendum on December 12 1993, after the previous president dissolved the last Constitution. in this referendum all the registered voters, or 54.8% of the population participated in the referendum. Of those,54.5% voted for adoption of the Constitution. So i believe that this makes it valid constitution, and therefore legitimate one because of the legal voting population it was approved by the majority of Russia." This would be a two point question. A point would be awarded for correctly identifying a referendum for the way the constitution was approved. A point would be awarded for a factually correct and logical explanation of why this process would or would not contribute to the legitimacy of this new constitution. Some of those reasons require more explanation than others. Anonymous' answer would earn both points. However, there are some questionable things in the answer that might have caused problems. • Wikipedia should not be cited as the only source. The reliability of Wikipedia is very questionable. That doesn't cause a problem with this answer because sources were not requested by the question. Most FRQs do not request the citation of sources and it's not necessary to do so unless you are asked. • The constitution wasn't "drafted" by the referendum. The referendum approved a constitution that had been drafted (i.e. written). • It's unclear to whom "previous president" refers. In another case, that reference might have been important. • Validity is not necessarily identical to legitimacy. These kinds of minor "errors" are common in the responses that exam readers see. Exams are written under the pressure of test taking and the clock. Most of the time mistakes like this are of no consequence. But you should, if you have the time, proofread your answers. Sometimes, carelessness can cost you points. Anonymous has won two pairs of WYNTK pencils. Here's the first best answer I've received for Question #12. I am posting it a bit earlier than promised since this is the first answer submitted, and it's a good one. Since Putin's reforms in the past three years seem to be reducing the choices available to voters, what has he done to promote legitimacy of the Russian regime and his government? 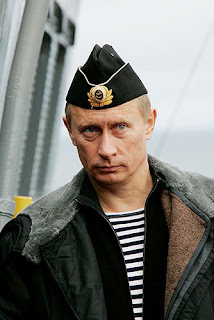 "since Putin has a good control of the media in Russia. he also will be able to influence public opinion though the media. which, for the most part, would show him in a good light and having a good impact on the country of Russia and most likely never have anything negative that he has done, which would also give him legitimacy in the light of the people of Russia." There could be several examples for some of those items. Any one would earn a point. Two examples are necessary to earn both possible points. Anonymous' example would earn both points. 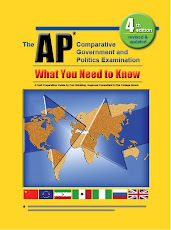 • The first sentence of Anonymous' answer is important because the rubrics used for the AP exams often require that kind of introduction (although there are no points awarded for it). • If you're unsure if one of your examples is appropriate, list a third one (or a fourth or a fifth). Just don't spend too much time on your effort because you need time for the other 7 questions on the FRQ section of the exam. On the AP exam there's no penalty for having more than enough right answers and there's no penalty for having an incorrect response. Your answer begins the grading process by being worth zero (0) points. It will earn points for including appropriate information or logic that are on the graders' rubric. You won't earn extra credit for more right answers than required. For instance, there's no way to get more than 2 points for this question. And you'll win at a couple of What You Need to Know number two pencils to help you fill in the exam's multiple choice answer sheet. One of the pencils will have all the multiple choice answers on it and the other will display King Arthur's memorable line from Monty Python and the Holy Grail, "You don't vote for kings!" I was asked why I hadn't published answers to any of the questions posed here. The simple answer is that until Thursday evening, only one person had sent in an answer, and I'm not sure that effort was a serious one. Last night I received from "anonymous" a serious answer to the question about legitimacy in Russia. If that is the best answer, I'll publish it next week and ask anonymous where to send the prize pencils. Other submitted answers will get the same consideration, but I can't publish answers that aren't submitted. And you'll win two What You Need to Know number 2 pencils to help you fill in the exam's multiple choice answer sheet. One of the pencils will have all the multiple choice answers on it and the other will display King Arthur's memorable line from Monty Python and the Holy Grail, "You don't vote for kings!" The Chinese economy has changed dramatically in the past 30 years. What is one economic, one political, and one cultural reason that the government has maintained control over rural land ownership? And you'll win more than one What You Need to Know number two pencil to help you fill in the exam's multiple choice answer sheet. One of the pencils will have all the multiple choice answers on it and the other will display King Arthur's memorable line from Monty Python and the Holy Grail, "You don't vote for kings!" 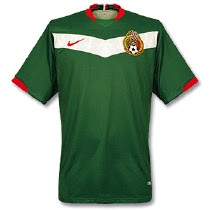 Mexico and Nigeria are both federal regimes. What is a factor that both regimes have in common that helps account for the relative weakness of state and local governments in those two countries? Why does that explain the weakness of state governments? And you'll win 1.4% of a gross of What You Need to Know number two pencils to help you fill in the exam's multiple choice answer sheet. One of the pencils will have all the multiple choice answers on it and the other will display King Arthur's memorable line from Monty Python and the Holy Grail, "You don't vote for kings!" And you'll win a sixth of a dozen What You Need to Know number two pencils to help you fill in the exam's multiple choice answer sheet. One of the pencils will have all the multiple choice answers on it and the other will display King Arthur's memorable line from Monty Python and the Holy Grail, "You don't vote for kings!" BTW, no one has answered Question #2 yet. The prizes are still available. PS: No one tried to answer Question #1. The prize is still available. You submit an answer using the "Questions" e-mail link at the What You Need to Know web site. What factor was most responsible for promoting interparty competition in Mexico's political culture during the past 20 years? Why? Which two cleavages in Iranian society are most politically relevant (i.e. best predictors of political behavior)? Why are they most politically relevant? 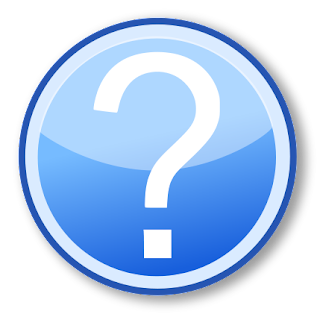 You submit an answer to the "Questions" e-mail address at the What You Need to Know web site. How are the roles of the Peoples Congresses and the Party Congresses (at all levels) affected by democratic centralism? Did that approval process contribute to the legitimacy of the constitution? Why or why not? If a political scientist wanted to find out if parliamentary regimes are better than presidential regimes, how would she define "parliamentary" and "presidential" for the research? And, what are two criteria she might describe to determine which regime type was "better?"